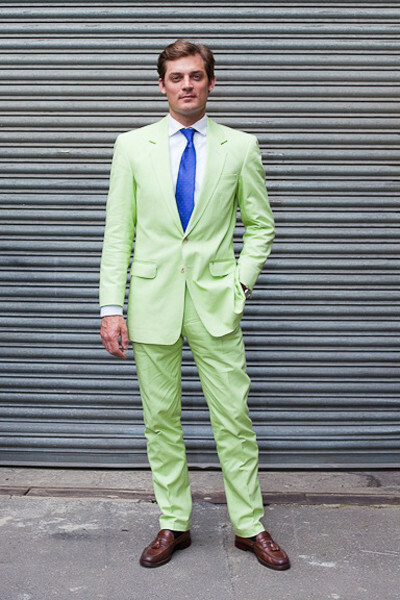 Perhaps an unlikely style choice, but thanks to its well cut shape and elegant finish, strutting your stuff in a dazzling lime green suit might not be such a bad idea after all. The choice for summer dandies and those looking for a twist, our collection of colour suits for the summer will leave everyone dazzling in the summer. 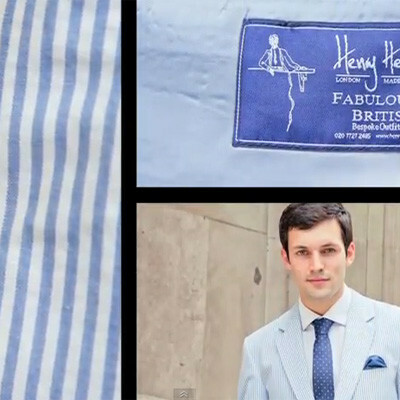 Made from a lightweight cotton, the suit is made and cut in England. As much of the suit as possible is hand tailored. As with every suit we make, unless you choose our Express service, the suit will take 8-9 weeks to make – we have a half way baste fitting and then a forward baste fitting before the suit is finished and delivered. Sunkiss Suit - Bespoke Suits By Savile Row Tailors.